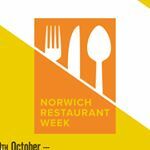 That’s one delicious weekend and 2 mid weeks for a choice of 2 or 3 courses at lunch or dinner at a selection of 86 restaurants in Norwich and Norfolk beyond. Certain days may be excluded in certain restaurants but it’s always a great set price and a chance to try somewhere different. So, choose from two courses for £12 or £18 or three courses for £17 or £23 depending on the restaurant. A great price, knowing you can try somewhere new for a cheaper price or go to your favourite place. There’s some really good places taking part including the Tipsy Vegan for some diner classics, The Farmyard for some gastronomy, Bishops for some romance, the wine press for classic tasty British or Franks and sisiter North for some sharing mezze gorgeousness and that’s just Norwich.